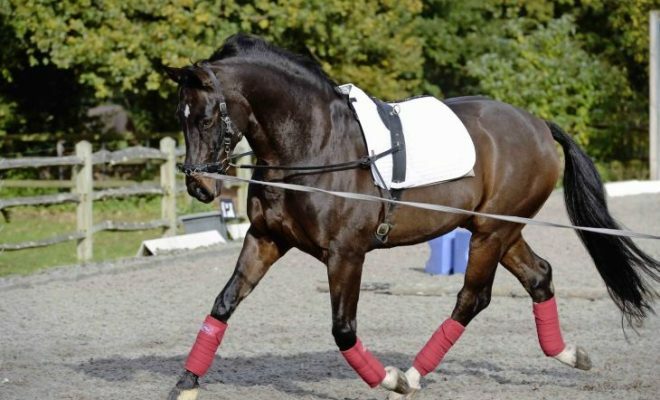 Although you won’t receive extra marks for looking smart, how you present yourself and your horse can help to create a good impression when you ride down the center line to start a dressage test. A line of perfect braids (plaits) or a neatly pulled mane certainly helps to make you look like a pro and creates a great first impression for the judge. 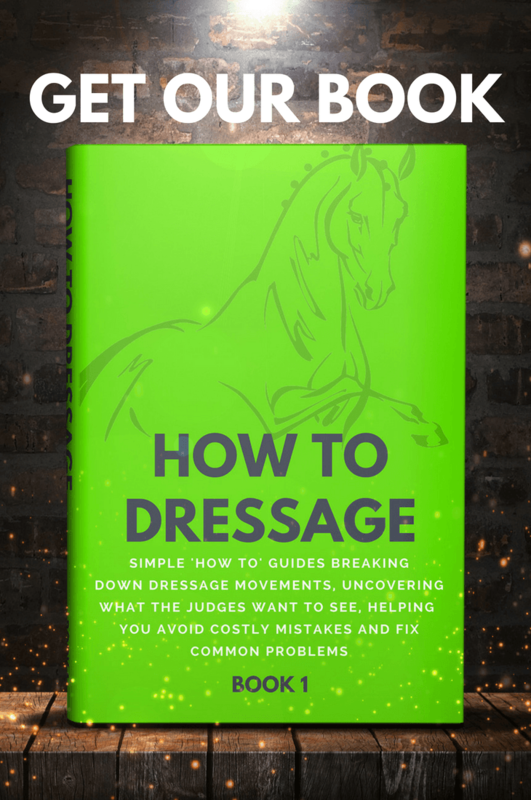 Of course, you don’t have to braid your horse’s mane for dressage competitions or the dressage phase of horse trials, and there are no rules to govern how many braids you use. If you can’t braid, or if your horse won’t tolerate your hairdressing attempts, don’t worry, you won’t lose any marks. A neatly pulled mane can look just as smart and is perfectly acceptable for dressage, horse trials, and show jumping competitions. But which side should the mane lay on, and how do you get your horse’s mane to lay neatly on the correct side? 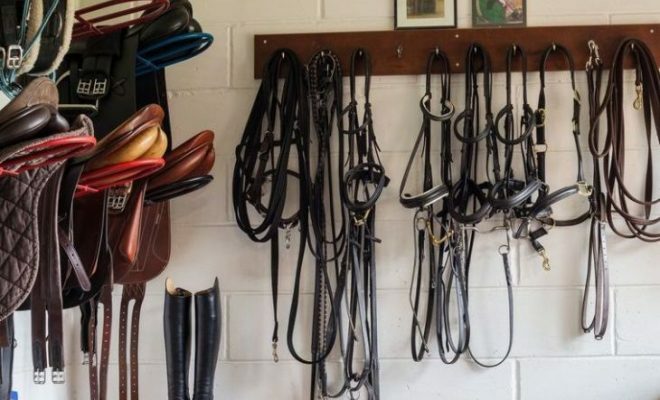 Unfortunately, many horses’ manes like to flop randomly over both sides of their neck. In a perfect world, your horse’s mane would all lay on the right-hand side of his neck. In showing circles, the right side is considered correct. However, for dressage, show jumping, and horse trials, it doesn’t matter which side your horse’s mane lays on. There’s an old horseman’s saying that a horse’s “handedness” is indicated by which way his mane lays at his withers. So, if your horse’s mane naturally flops over to the left side of his neck, he will work best on the left rein. That could be true, or it could just be an old yarn, so don’t worry; changing the way your horse’s mane lays won’t affect how he works! So, how do you tame an unruly mane? Here’s how! 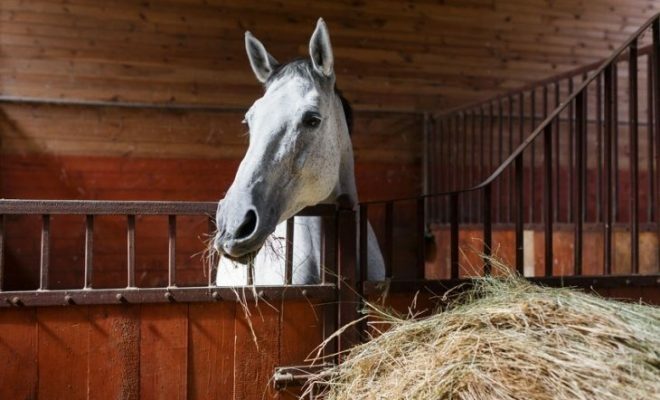 Before you begin to teach your horse’s mane to lay on the right side of his neck, you’ll need to thin it, especially if the hair is thick and coarse. A thinner mane will be easier to “train” than a thick one. It will also make braiding much quicker, and the braids will be tidier. Pull the mane, using a metal pulling comb. Don’t use scissors or a thinning blade, or the hair will grow back even thicker and will stubbornly insist on flopping where it likes! Comb the mane so that it all lays on the right side of the horse’s neck. Use a grooming spray to get rid of tangles, prevent breakage, and calm frizzing. Use a sponge or spray water bottle to dampen the mane and divide the mane into small two-inch sections from the horse’s withers right up to his poll. Braid each section and secure it with a small elastic braiding band. 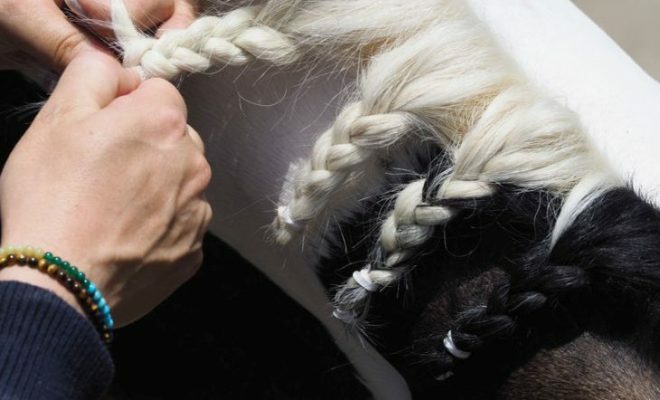 Don’t worry if the braids aren’t perfect; their purpose is to hold the mane over to one side of the horse’s neck. Leave the braids in place for a week. The weight of the braids will encourage the mane to lay on one side. 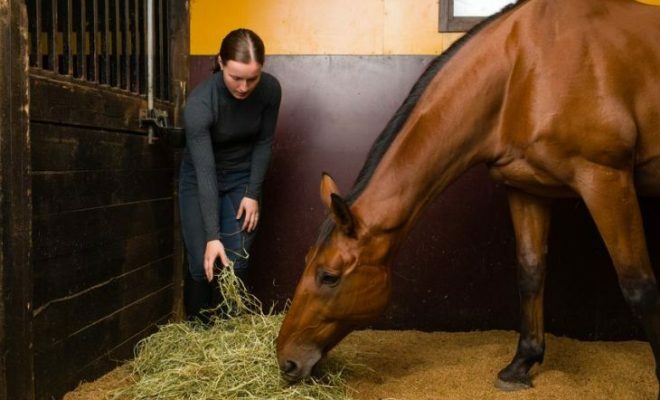 TIP: Don’t braid too tightly onto your horse’s neck. 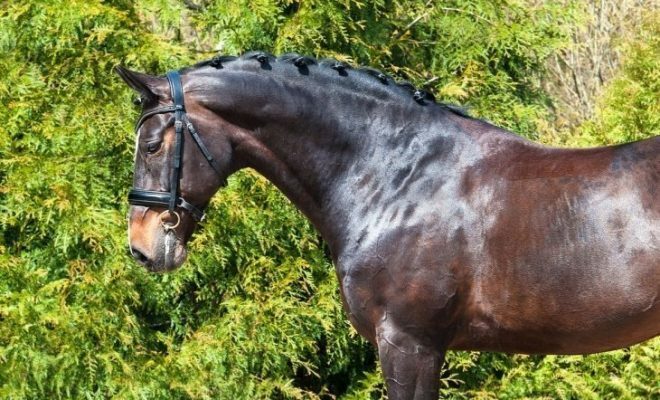 These are not competition braids and your horse has to have them left in for a lot longer than a few hours. Tight braids can become very uncomfortable for your horse over a long period of time and may even encourage him to rub them out. After a week, remove the braids and comb out the mane. 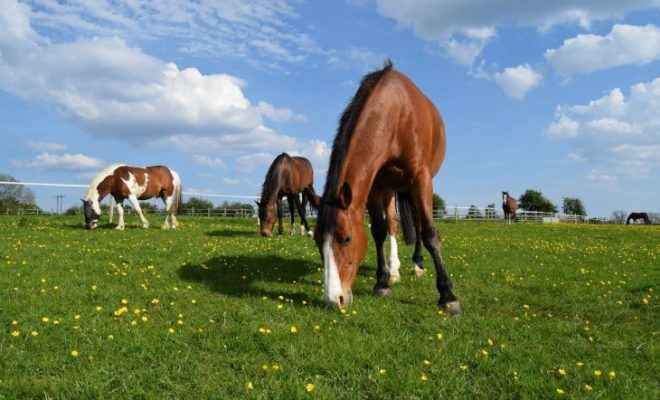 If your horse has a thin mane, it will probably lay flat after a week. Thicker manes can take a few weeks or even longer if the mane is exceptionally thick and willful. You may need to repeat the braiding exercise every few weeks to keep the mane in place. Although looking super-smart can create a good impression for the judge you don’t get extra marks in dressage for perfect turnout. So, it doesn’t matter which side of his neck your horse’s mane lays on. Traditionally, and for showing classes, the horse’s mane should lay on the right side of his neck. However, so long as the mane all lays on the same side, the side you choose really doesn’t matter. Did you successfully train your horse’s mane to lay all on one side of his neck? How did you do it? Share with us in the comments box below.